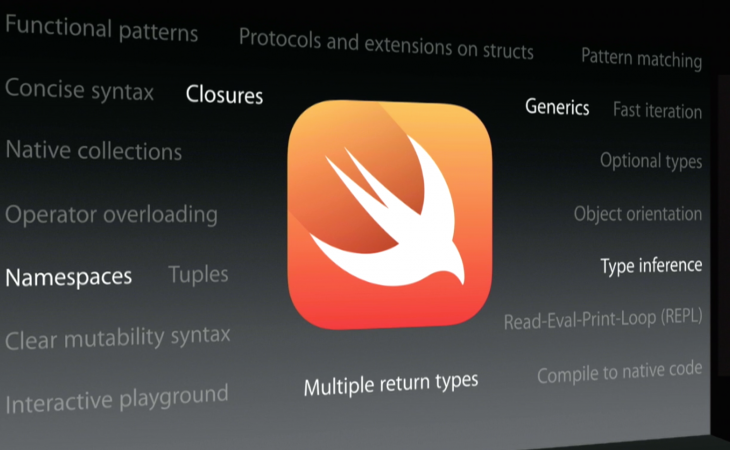 Back in June, Apple announced Swift, a new programming language for iOS and OS X, and the reaction in the developer community was generally positive. Now, in the wake of Apple unveiling a slew of new products and services, the Cupertino company has announced that Swift has now reached ‘GM’ (Gold Master). A GM build basically means it’s almost good to go and, as such, Apple is now accepting submissions for Swift-coded iOS apps in the App Store. Though the plan is for Swift to eventually replace Objective-C, the coding vernacular used by Apple for two decades, both languages can co-exist within the same app, meaning developers can upgrade the code incrementally. Apple says the GM date for Swift on OS X will arrive closer to Yosemite’s launch later in the fall. That said, you can still code with Swift for Mac apps by downloading the beta of Xcode 6.1.